I’ve been published! In a real book! 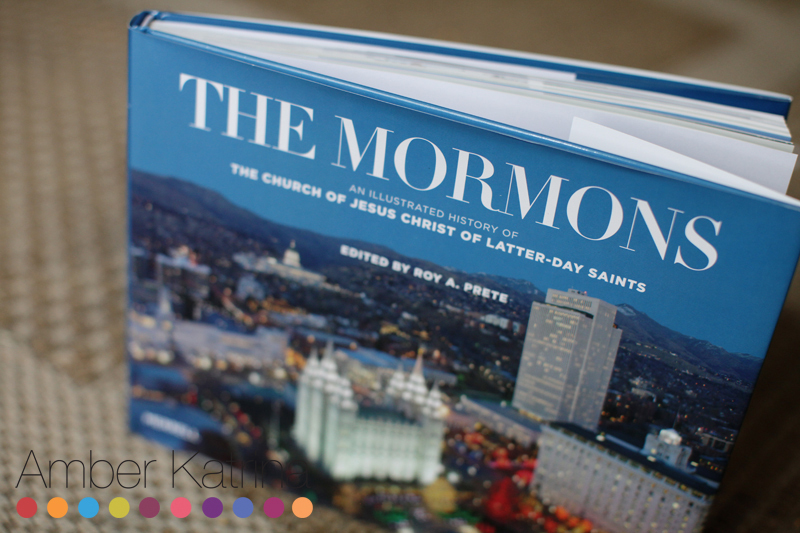 The Mormons: An Illustrated History of The Church of Jesus Christ of Latter-Day Saints was published on October 8, 2013 – just two days ago! An editor contacted me about a year and a half ago about using one of my pictures in an upcoming book they were publishing. We worked out the details, but I didn’t hear anymore from them and forgot about it. I kind of thought the project fell through or something. But by chance I contacted them last month and they said the book would be available this October. So I finally have a copy in my hands, and it’s a beautiful book, full of gorgeous illustrations and pictures about the history of the LDS church. My picture comes toward the end of the chapter about temples and families by Richard O. Cowan. 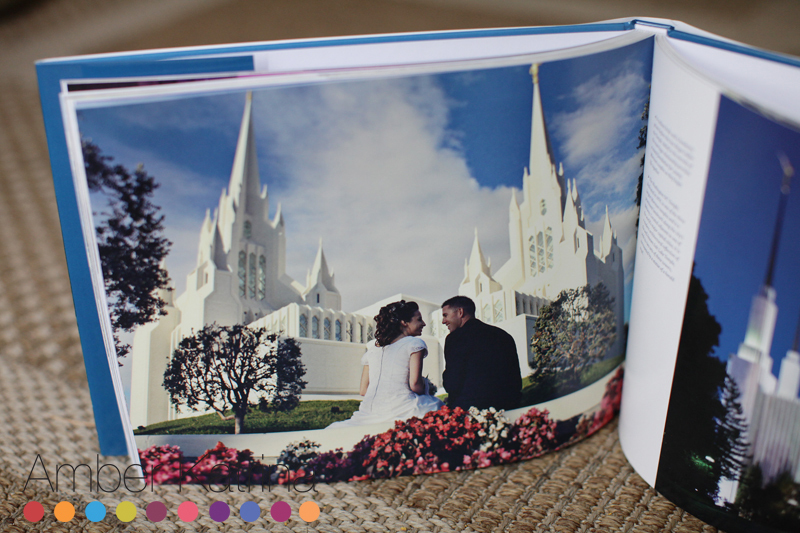 This is a lovely couple, and I had the privilege of photographing their temple sealing back in 2009 – almost 5 years ago! My style has changed a bit, but I still love this picture. From now until Christmas, I am offering a special gift package. For $250, you get a portrait session AND a print package (worth $390). The session can be scheduled anytime from January 1st to March 31st, 2012. 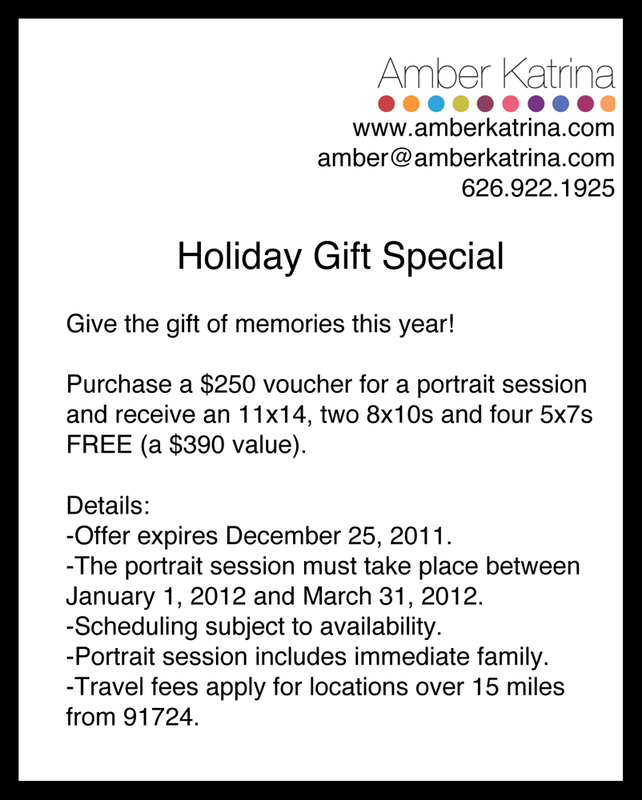 Give the gift of memories to friends and family–or even yourself–this year! More details in the attached flier. Please contact me to purchase: amber@amberkatrina.com. This is your chance to win a FREE family mini shoot! Send me a picture of your child at their scariest (whatever that means to you – be creative). 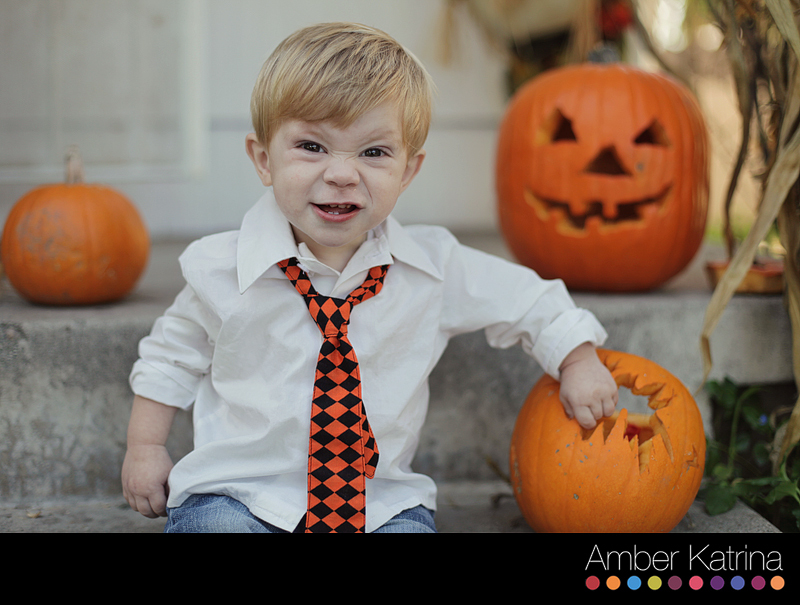 The scariest kid will win a Halloween Mini Session on October 29th at 8am. Prize includes a 20 minute photo session for the immediate family at Recreation Park in Monrovia and 1 digital negative of your choice (value $50). Additional prints and digital negatives can be purchased separately. Send your pictures to me via email at amberkatrina@gmail.com. I will post the pictures on my Facebook page and then you can have your friends and family vote for their favorite scary kid. The picture with the most votes (via comments) will win. Contest ends at midnight on October 23rd! And the winner of the Avon Walk for Breast Cancer Photo Shoot contest is……. ….Jenny Shepard, who would love a family shoot! And because a post is always better with a photo, here is a sneak peak from a senior graduation shoot I did at Disneyland yesterday.